Reblogged from Focus on the Family. Not my original work. Sharing Bring Your Bible to School Day. The Bible Should Be Celebrated—Not Banned! Do you know students with a heart for God’s Word? Then they’ll love Bring Your Bible to School Day, a free-speech event for students on Oct. 8sponsored by Focus on the Family. Download your free, get-started guide today! That’s just a small sampling from television reports we’ve seen within the last year about students being censored or punished for their faith. Do you agree with us that students shouldn’t be forced to hide their Biblical beliefs when they walk in the school door? The fact is, they do have the religious-freedom right to bring their Bible to school and read it during free time. Bring It. Share It. Live It. 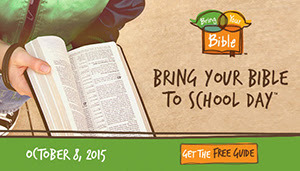 Let them know about Bring Your Bible to School Day™ on Oct. 8! Last year, an estimated 8,000 students participated in every state in the nation. 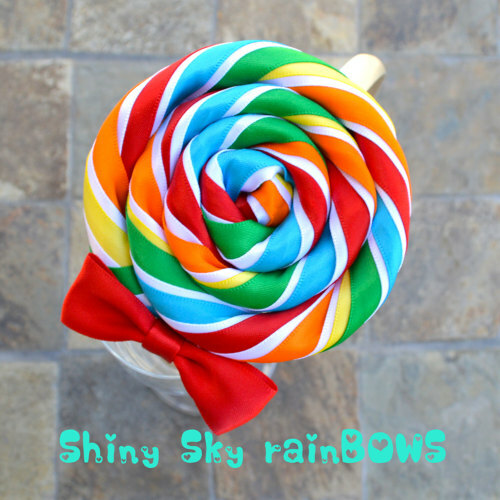 This year at least three times that many are expected to participate! Will you be a part of making this a nationwide movement? Sign up; then share this link with other students and their families:FocusOnTheFamily.com/BringYourBible. Let them know that we’ve created Elementary, Teen and Pastor/Parent Editions of the downloadable guides. Share sample announcements with church leaders so they can let the youth in their congregation know about it. Join the conversation! Like us on Facebook® and follow us on Twitter®; VisitBringYourBible.org. Thank you for your heart for empowering Christian youth across the nation and for working with us to protect religious freedoms for future generations. I Can Learn the Bible and so can you! 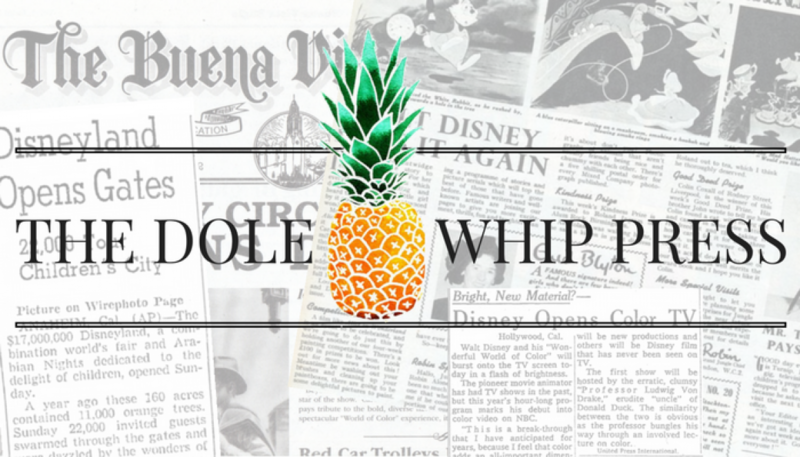 Check out this new devotional just for kids! 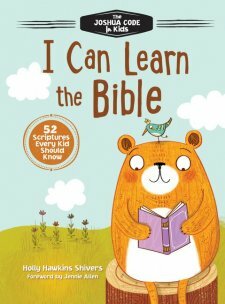 I Can Learn the Bible by Holly Hawkins is a 52 week devotional for kids ages 4-8 that helps children grow in their personal relationship with Christ through scripture reading, memory verses, and prayer. Each week your child will learn a new Bible verse and where to find it in the Bible. Your child will also learn how to incorporate scripture into their daily lives. I really enjoy reading this devotional with my children each week and learning together just how God works through us. This is such a beautiful Bible designed for your tween girl. The cover of the Bible is very eye catching in bright fuchsia pink and super soft to the touch. This is such a fun design with features that include the words of Christ in red, an easy-to-read font size, and a hard cover under the main flap. This Bible is written in the New International Version in God’s word, including the Old and New Testaments. There are no devotional pages included and very few footnotes. This is a great Bible for your tween daughter to read on a daily basis and to use during Bible Studies. This is such a beautiful Bible designed for your tween girl. 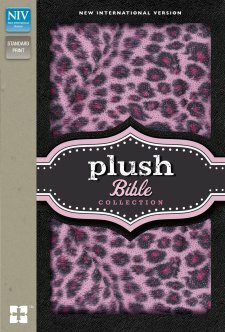 The cover of the Bible is very appealing in pink sparkly leopard and super soft to the touch. This is such a fun design with features that include the words of Christ in red, an easy-to-read font size, and a hard cover under the main flap. This Bible is written in the New International Version in God’s word, including the Old and New Testaments. There are no devotional pages included and very few footnotes. 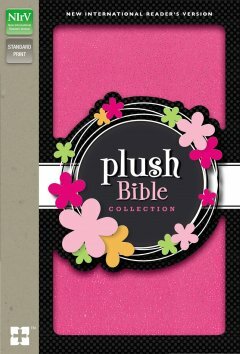 This is a great Bible for your tween daughter to read on a daily basis and to use during Bible Studies. If you are a fan of Duck Dynasty you have a pretty good idea where the Robertson family stand when it comes to America, Freedom, Family, Guns, and God. The Robertson family have taken the media spotlight and have also been smack dab in the middle of controversy. Even still, they stand firm in their Christian values and share their love and faith in God. Their love and dedication to the Word is compelling. 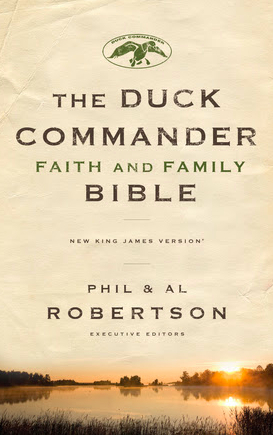 In the new release The Duck Commander Faith and Family Bible, Phil and Al Robertson share testimony, stories, and a reading plan that will help you in your personal walk with Jesus. This beautiful Bible is available in the New King James Version and focuses on the family’s five core values: faith, family, fellowship, forgiveness, and freedom. Their teachings are very straight forward and written so that readers of all ages may understand and learn. This Bible has the power to transform any heart that is willing to open themselves to the power of the Word. This is a recommended read and a great gift for any man in your life. Most of us are familiar with Mary, the mother of baby Jesus, but we do not know how she lived or why she became the chosen one. In “Get to Know Mary” we follow Mary’s life journey. 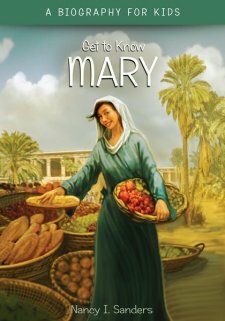 We learn about who she was and follow major events in her life; such as her engagement/marriage to Joseph, the birth of her first born son, her trip to Nazareth, and the home in which she made for her family. “Get to Know Mary” is a fourth in the Get to know Children series written by Nancy I. Sanders. This biography includes bright images and fun to know facts that will entertain your child’s mind. There is also a timeline included in the back of the book. This series makes for a great resource when learning about the great people of the Bible. Very easy read and great for all ages.